Update 05/11/2016: a pre­vi­ous ver­sion of this ar­ti­cle mis­tak­en­ly list­ed the num­ber of class­es as 5 and de­vo­tions as 15. The writer swears he learned this math. Action RPGs on the PC have been un­der­go­ing some­what of a re­vival in re­cent years. A lot of de­vel­op­ers have been chas­ing the lega­cy of Diablo II — a game still seen as the bench­mark for the genre. Enter Crate Entertainment, a stu­dio com­pris­ing ex‐employees from now de­funct Titan Quest de­vel­op­er Iron Lore, and their long in de­vel­op­ment ARPG Grim Dawn. 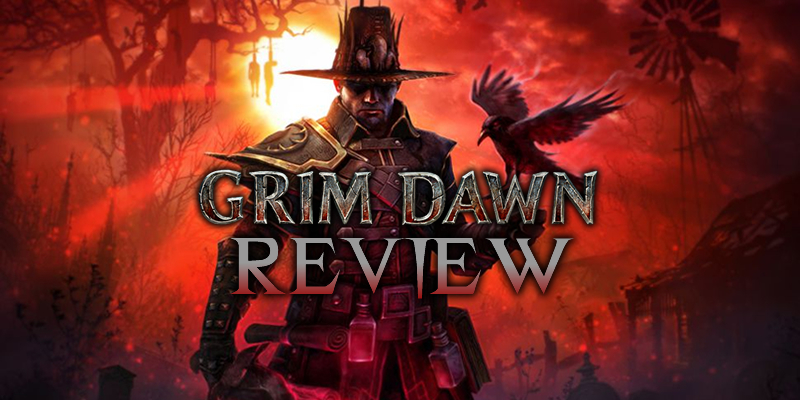 At first glance, Grim Dawn gives you every­thing you’d ex­pect from a mod­ern Action RPG. Point and click game play, an iso­met­ric per­spec­tive, op­tion­al mul­ti­play­er, and a bunch of mon­sters to fight and gear to loot. Grim Dawn nails the ba­sics. The mon­sters are var­ied and fun to squish, the loot is abun­dant, and the games skill tree’s are re­ward­ing to progress through. But with­in that frame­work, you have some very wel­come de­vi­a­tions and re­fine­ments from the stan­dard ARPG for­mu­la. First let’s talk about the class and skills sys­tem. Grim Dawn al­lows you to com­bine the games six class­es and ac­com­pa­ny­ing skills in any way you choose. This leads to six­teen dual‐classes (called Masteries) with mas­sive vari­a­tion in build types. In fact, there is so much vari­a­tion that play­ers new to the ARPG genre may end up over‐faced if they don’t fa­mil­iar­ize them­selves with the sys­tem first. 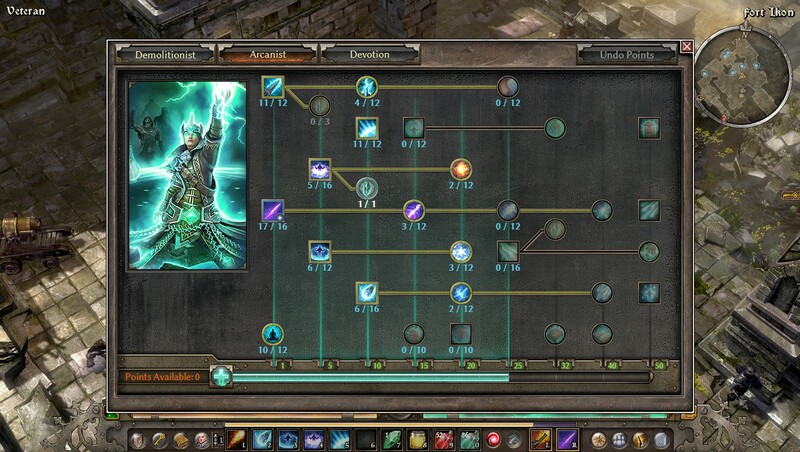 Luckily, there has been a lot of work done dur­ing the ear­ly ac­cess phase of Grim Dawn to help bal­ance class­es and skills to make most build com­bi­na­tions at least vi­able in game — if not op­ti­mal. The lev­el­ing and stat sys­tem also has a de­cent lev­el of com­plex­i­ty to it. Instead of un­lock­ing cer­tain skills at cer­tain lev­els, you can choose to in­vest skill points into lev­el­ing up your class di­rect­ly. This al­lows ac­cess to dif­fer­ent skills, and also gives bonus­es to the stats as­so­ci­at­ed with that cho­sen class. You can re‐sepc your skills at any time with­out too much penal­ty, so you aren’t sad­dled with hav­ing to in­vest in low‐level skills you no longer use in or­der to get the high­er lev­el skills you want. Instead, the skill tree aug­ments ear­li­er skills through­out your pro­gres­sion. Grim Dawn also fea­tures a de­vo­tion sys­tem in which you ac­crue de­vo­tion points as you cleanse the game’s var­i­ous shrines which can then be spent on con­stel­la­tions which grant you pas­sive abil­i­ties and bonus­es. Grim Dawn is a game you can play how you want to. 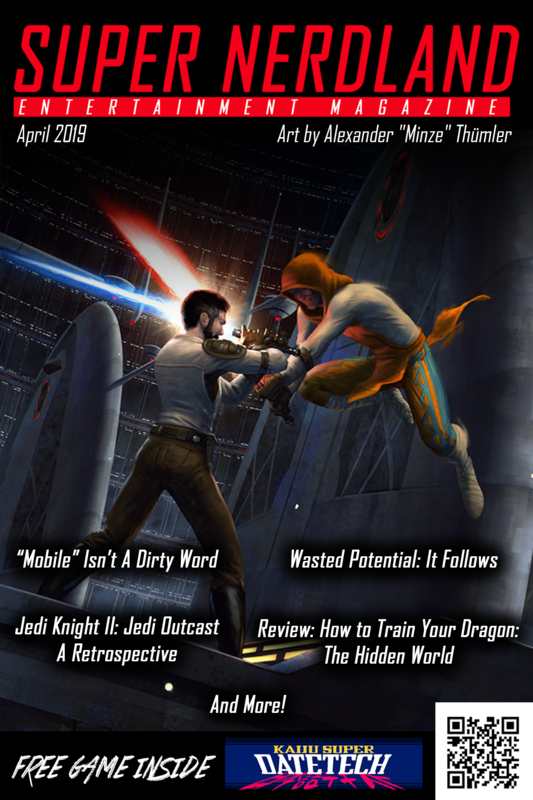 You’re nev­er rail­road­ed into cer­tain class­es or skill paths to make sure you char­ac­ter isn’t a mud­dled mess by late‐game. While Grim Dawn does re­ward knowl­edge of what types of skills/play styles com­ple­ment each oth­er, that’s re­al­ly left up for the play­er to dis­cov­er. Between your class com­bi­na­tion, skills, and de­vo­tions the lev­el of cus­tomiza­tion is mind‐boggling. As in any good ARPG, the oth­er big as­pect of your char­ac­ter is gear. Grin Dawn char­ac­ters have 14 equip­ment slots, and every­thing you equip can be en­hanced by semi‐permanent com­po­nents. Weapons, ar­mour, and com­po­nents can all po­ten­tial­ly grant ac­tive or pas­sive skills mean­ing some gear will be­come an in­te­gral part of your play style and char­ac­ter builds. This again com­bines with the afore­men­tioned devotion/skill se­lec­tion. If you feel like farm­ing the gear, you can make a build pre­cise­ly tuned for any pur­pose. For ex­am­ple, in my re­view play through of Grim Dawn I was as­sist­ed by fel­low site con­trib­u­tor and am­a­teur game de­vel­op­er GwenLilyKnight who was able to play a pure sup­port build through care­ful­ly choos­ing her skills, de­vo­tions, and gear. Bad or low end gear is easy to ig­nore with the item drop fil­ters, and you’ll usu­al­ly be want­i­ng to pick up rare and unique items. Legendary equip­ment is suit­ably rare and pow­er­ful, mak­ing it feel suit­ably spe­cial. My only gripe with the oth­er­wise stel­lar gear sys­tem is that there isn’t a way to trans­mute or trade in du­pli­cate gear aside from ex­chang­ing it man­u­al­ly with oth­er play­ers. During our re­view run we en­coun­tered an en­tire unique set more than twice over that nei­ther of us could uti­lize, and it was frus­trat­ing we couldn’t re­al­ly do any­thing with this nice but oth­er­wise use­less gear. When it comes to mul­ti­play­er, it’s a blast, and the net­code is sol­id. 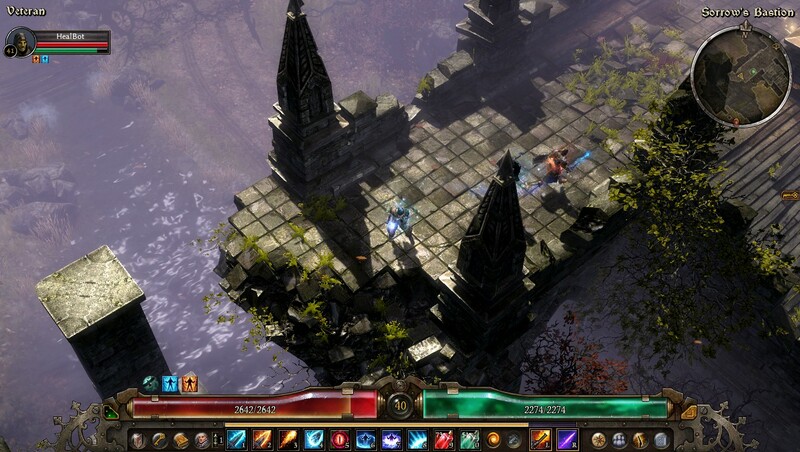 I would to­tal­ly ad­vise play­ing through Grim Dawn with friends if you can. Monsters scale in dif­fi­cul­ty as you’d ex­pect to the size of your par­ty, and all‐round the im­ple­men­ta­tion of mul­ti­play­er is just as pol­ished as the sin­gle play­er as­pect is. We only had a few crash­es dur­ing our play through, and those were even­tu­al­ly at­trib­uted to hard­ware in­sta­bil­i­ty of the per­son host­ing. I’ve nev­er per­son­al­ly had the game crash on me at all. The game runs smooth­ly on high set­ting with most se­tups I’ve test­ed it on. With a high­er end gam­ing rig, you should have no is­sues main­tain­ing a con­sis­tent fram­er­ate. 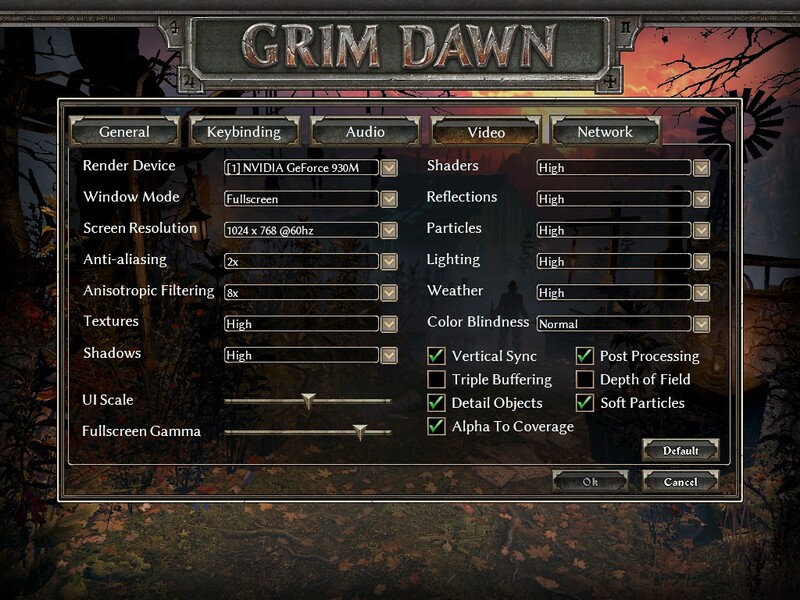 Even when test­ed on my lap­top, Grim Dawn ran very playable us­ing high set­tings on a GeForce 930M. There is a good amount of op­tions al­low­ing for cus­tomiza­tion of in‐game op­tions, graph­i­cal de­tail, and lots of in­di­vid­ual vol­ume slid­ers (which I al­ways ap­pre­ci­ate). There’s noth­ing miss­ing from the op­tions menu that can see on a tech­ni­cal lev­el, so the game gets a big thumbs up in that area. Graphically, Grim Dawn can be a lit­tle dark and well… grim at times. Whilst some of the games dun­geons can be a lit­tle on the gener­ic side in the ear­ly game, as the game pro­gress­es you ex­pe­ri­ence a wide range of var­ied en­vi­ron­ments each with their own se­lec­tion of mon­sters. Grim Dawn has a more ground­ed and earthy graph­i­cal style than many of its ARPG com­pa­tri­ots, but pulls off a world that both looks fan­tas­tic and rel­a­tive­ly re­al­is­tic. Particle ef­fects look great, al­though in busy bat­tles it can be dif­fi­cult to tell what’s hap­pen­ing where. My one gripe is that the play­er and al­lies are not eas­i­er to pick up at a glance. This game re­al­ly needs a sys­tem to high­light al­lied play­ers more ob­vi­ous­ly. Grim Dawn’s sound­track is also def­i­nite­ly worth men­tion­ing. It’s large­ly made up of spacey and at­mos­pher­ic gui­tar tracks, gen­tle pi­anos, moody dron­ing sounds, and tense beats. When the gui­tars show up they have an anx­ious and grim qual­i­ty with lots of tine and re­verb — over­all a very post‐rock vibe. Steve Pardo pro­duced the sound­track, and did a very good job fit­ting it to the feel of the game whilst giv­ing the sound­track it its own unique fla­vor. Another as­pect of Grim Dawn I re­al­ly like. The game’s sto­ry also fea­tures its fair share of Grimness. The premise of Grim Dawn is ac­tu­al­ly re­fresh­ing­ly orig­i­nal. The world end­ing cat­a­stro­phe has al­ready hap­pened, and hu­mans are vast­ly out­num­bered by mon­sters. You are es­sen­tial­ly the last des­per­ate hope of the frac­tured re­sis­tance. You aren’t sav­ing the world as much as you are restor­ing it. The re­lease ver­sion of the game also fea­tures a de­cent smat­ter­ing of voice act­ing to tell this tale, and main quest NPCs are all voiced — giv­ing you a good overview of what’s go­ing on in the plot as well as de­liv­er­ing the fla­vor of the world. You’ll want to pay at­ten­tion to this di­a­log too, as quest chains con­tain quite a few mean­ing­ful choic­es that will per­ma­nent­ly im­pact the game lat­er on. Simply skip­ping through di­a­log may end up in a fight with an NPC that you’ll want to keep around, so stay alert. Finishing the game’s sto­ry will prob­a­bly take you around 20 – 30 hours de­pend­ing on a num­ber of fac­tors, as there are lots of op­tion­al quests, se­cret dun­geons, and a few rouge‐like dun­geons with en­hanced loot to oc­cu­py your time. Grim Dawn does well re­ward­ing play­er cu­rios­i­ty and ex­plo­ration. The fi­nal 3rd of the game also ramps up the in­ten­si­ty and ten­sion, with some pret­ty stun­ning en­vi­ron­ments ap­pear­ing to­wards the games cli­max. A mi­nor nig­gle is Grim Dawn lacks any real ob­vi­ous tu­to­r­i­al, al­though a lot of very good in­for­ma­tion and guid­ance can be ob­tained with­in the game’s codex. Whilst this lack of hand‐holding is wel­come to this play­er, I think it should be made more ob­vi­ous where this in­for­ma­tion is, es­pe­cial­ly for those not play­ing on high­er dif­fi­cul­ties. Again this didn’t re­al­ly ef­fect me, but its some­thing to bare in mind. For play­ers new to Action RPGs I would rec­om­mend the nor­mal dif­fi­cul­ty, but for play­ers fa­mil­iar with the genre you’ll want to start on vet­er­an. Whilst I wouldn’t call Grim Dawn “too easy” on its stan­dard dif­fi­cul­ty, it is very pos­si­ble to power‐game if you know what you’re do­ing. So vet­er­an is a must right off the bat for ex­pe­ri­enced gamers. Elite dif­fi­cul­ty pro­vides quit a stiff chal­lenge, but also grants eas­i­er ac­cess to the games best loot. Ultimate dif­fi­cul­ty is pret­ty bru­tal, but again ups your chances of see­ing the games best drops. Each dif­fi­cul­ty can be played in hard­core mode, mak­ing death per­ma­nent. So the chal­lenge lev­el in­volved in Grim Dawn is re­al­ly up to you. The game can go from rel­a­tive cake‐walk to soul crush­ing­ly un­fair with perma‐death. Combine this high­ly scal­able dif­fi­cul­ty with the vari­a­tions in the class sys­tem, and you have your­self a high­ly re‐playable game. 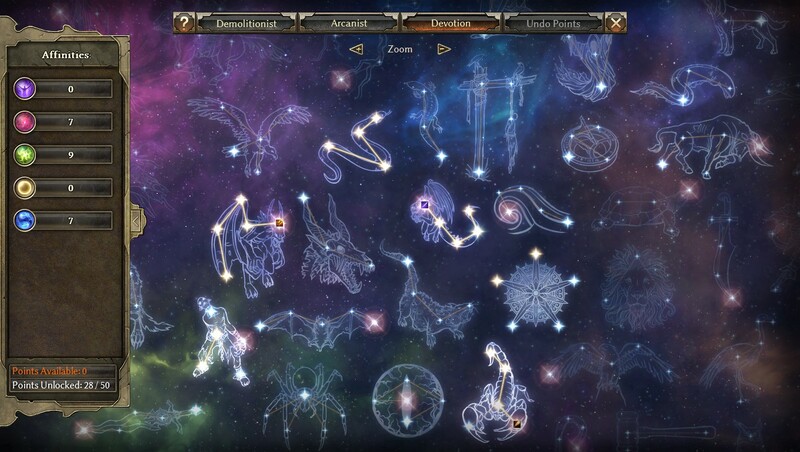 With patch V 1.0.0.3, Grim Dawn has been equipped with a suit of of­fi­cial mod­ding tools for the com­mu­ni­ty to use. The game al­ready had a bud­ding mod com­mu­ni­ty, and since these are the ex­act same tools the de­vel­op­ers used to make the game it opens the door for whole new cam­paigns. Many mod­ern games for­go mod sup­port in a pret­ty trans­par­ent at­tempt to sell mi­cro­tran­sa­tions and DLC that would have to oth­er­wise com­pete against mods. The re­lease of these com­pre­hen­sive tools shows de­vel­op­er Crate Entertainment is se­ri­ous about of­fer­ing good af­ter­mar­ket sup­port, and keep up a good di­a­log with their com­mu­ni­ty. It also shows Crate trusts in the strength of Grim Dawn as a prod­uct, and they aim for a sales and sup­port cy­cle mea­sured in years rather than months. It’s also worth not­ing the stan­dard pric­ing of Grim Dawn is well be­low that of most re­tail game of its size, sit­ting at $25 (£20) on Steam at time of pub­li­ca­tion. These are the kinds of mid‐sized projects I was hop­ing would come out of Kickstarter and Early Access — Grim Dawn is in­deed an ex­am­ple of a Kickstarter suc­cess sto­ry, hav­ing raised over $500,000 in 2012 and hav­ing a lengthy pe­ri­od in Early Access. It shows what’s achiev­able when an in­de­pen­dent team is able to live with­in its means and de­liv­er, if slow­ly and steadi­ly, on promis­es. It sharply high­lights the dif­fer­ence be­tween the pos­er “in­die” genre of games and the lev­el of qual­i­ty and pol­ish a team can ac­tu­al­ly achieve with­out a pub­lish­er. I don’t use the word “ex­cep­tion­al” about games very of­ten, but Grim Dawn is an ex­am­ple of an ex­cep­tion­al­ly good game. Its breadth of con­tent, depth of game play, price point, and af­ter­mar­ket sup­port all put it ahead of the pack, mak­ing it shin­ing ex­am­ple of its genre. I’ve felt com­pelled to squeeze as much con­tent out of the game as pos­si­ble be­fore re­view­ing it, with about 50 hours in­vest­ed in the game so far. I try to do this with all games I re­view in the in­ter­est of fair­ness, but very oc­ca­sion­al­ly you come across a game where the ob­vi­ous pas­sion of the de­vel­op­er makes you feel even more in­vest­ed in giv­ing the game an hon­est and de­tailed re­view. If you’re in any way an Action RPG fan then you re­al­ly owe it to your­self to give Grim Dawn a try. I don’t think its hy­per­bole to say that this is the new bench­mark by which ac­tion role play­ing games will be judged. Purchase Grim Dawn at full price if: you have even a pass­ing in­ter­est in ac­tion RPGs. Its full price is al­ready a lot low­er than most games. Purchase Grim Dawn at dis­count: There’s no caveat here. Just pur­chase it. 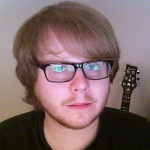 Do not pur­chase if: you re­al­ly can’t stand ac­tion RPGs at all as a genre. That’s the only real rea­son I can think of.